Protect your teeth and maintain your overall wellness with a trusted dentist in San Antonio, Texas. Mike Majors, DDS, is your reliable oral care specialist. We provide total dental care services, including routine family dentistry, cosmetic treatments, and emergency dentistry. From routine checkups to emergency root canals, our office has the personnel, equipment, and compassion to ensure your teeth remain in good form and function throughout your life. Eat, speak, and live with confidence. Your mouth is a vital component to your overall health and wellness. Maintain the prime condition of your teeth at our dentist office. Count on our thoroughly trained hygienists to steer you along the path to healthy teeth. When you visit our dentist for your regular checkups, you learn everything you need to know to maintain your oral health. Trust our office with your dental health for life. 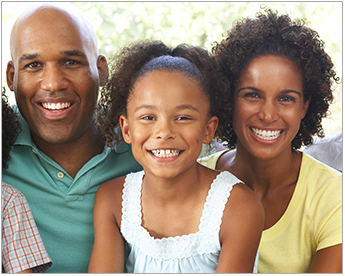 From infancy and all throughout adulthood, our general dentist covers your oral health needs for life. As such, we are the ideal office for your family. Patients turn to us for our professionalism and trustworthy consultations. Whether you want to brighten your smile or restore the function of your mouth, we are here to help. Our office specializes in cosmetic dental procedures, including whitening, dental crowns, and implants. We host our own on-site laboratory facility, where we craft your custom-fit replacements. Since each component of our dental services is performed in-house, you save time and money. Achieve the remarkable appearance you always wanted. Our dentist office is complete with the latest advancements in both general and cosmetic dentistry. Feel at ease knowing that our office is available to accommodate your varying dental needs. We are also available to perform the following procedures: Dental Lumineers™, temporomandibular joint (TMJ) treatment, snore guards, and dentures. Count on our practice to steer you in the right direction. Free consultations are available for every service we provide. If another dentist recommends a specific treatment for you, be sure to visit us for a free second opinion. Our honest evaluations can provide other options that save you time, money, and undue stress. On top of that, our office accepts most major insurance policies. We make oral care and aesthetics a simple, pain-free, and affordable experience. Take the initiative with your oral health needs and request an appointment at our dental office. We have more than 30 years of experience providing professional, comfortable care to patients of all ages. Whether for a routine examination or a dental emergency, our staff works with you to achieve the oral health results you want. Protect your teeth and visit our dentist office regularly for all your dental needs. Contact us today to request an appointment. We proudly serve patients in San Antonio, Texas, as well as Spring Branch, Bulverde, Boerne, Helotes, and the surrounding communities. Monday, Wednesday, Thursday, & Friday, 8:30 a.m.–5:00 p.m.